Our jazz dance classes are a very strong technical based class which incorporates creativity, body and music awareness in an energetic and fun dance class. 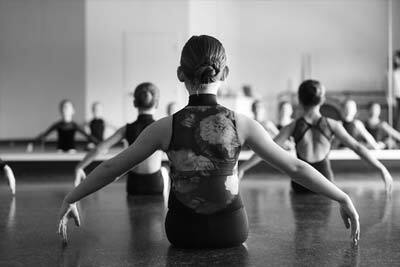 Our jazz classes are structured around a barre warm-up, across the floor progressions and center floor exercises. Our Jazz dance classes begin at the age of 5 and are offered until the age of 18 at our studio. Our jazz classes follow the ADAPT syllabus at Prestige! We strongly encourage all of our jazz teachers to work towards completing their Teacher Training through the ADAPT syllabus. Not only do we encourage our teachers to complete their syllabus certification but also actively pursue outside teachers for workshops to learn from, as well as any additional training opportunities outside the studio. Our jazz classes range from 45 minutes to an hour and a half long and take place once a week. Jazz classes will start in September and run through to June where the class will perform in the year end recital! From September to December, jazz classes will focus heavily on training and learning jazz technique and steps. The year end recital is always a highlight of the year when the dancers growth and improvement is showcased on stage in such a special setting. In the new year, our jazz classes will begin learning their year end recital dance! Our recital costumes will be ordered in the winter and arrive to the class mid spring. We are thrilled to offer our jazz dancers the opportunity to complete their ADAPT Jazz Dance Exams if they should choose. Jazz exam candidates are selected by the teacher however, they are not mandatory. We believe exams are a very positive learning experience for dancers. Dance Exams allow dancers to set the goal of achieving a certain level on a timeline. Our examination dates are generally set in September and the dancers have all year to work towards a certain level of the syllabus. On this examination date, we invite certified examiners to the studio to put our exam students through an exam class where they the students will be given a grade. Following the exam, the students will receive a grading, and feedback on their ability and performance in this exam. The color of the dress code for jazz classes depend on the level of the class however, is always a bodysuit and tights with black leather jazz shoes. Our female 5 year old jazz dancers generally wear pink bodysuit while our jazz dancers 6 and up wear a black bodysuit. Our male jazz dancers are asked to wear a white t-shirt with black shorts or pants. The hair for this class is recommended to be a ponytail or classical bun.